Melissa Bonin is concerned with complex human issues: life, death and rebirth, God and transformation. Much of her work is informed by a rich blend of religious and philosophical sources, French and Acadian history and folklore, African, Greek, Egyptian, and Early Christian mythology, and mystical Jewish texts including the Kabbalah:The Creation Myth which she believes form part of a collective human history and psyche. Bonin’s work invites contemplation of the relationship between good and evil and God and Man, redemption through preservation and honoring the natural world and the feminine energies found in both men and women alike. Evil can be slain only by the pure of heart and a deep feeling of connection and responsibility as guardians of the Earth and the human spirit. Many of her paintings are based upon ancient myths of the sagas, journeys, which she believes are part of a collective human history. Triangles appear in the first pyramids of Egypt and in the lore of many cultures. 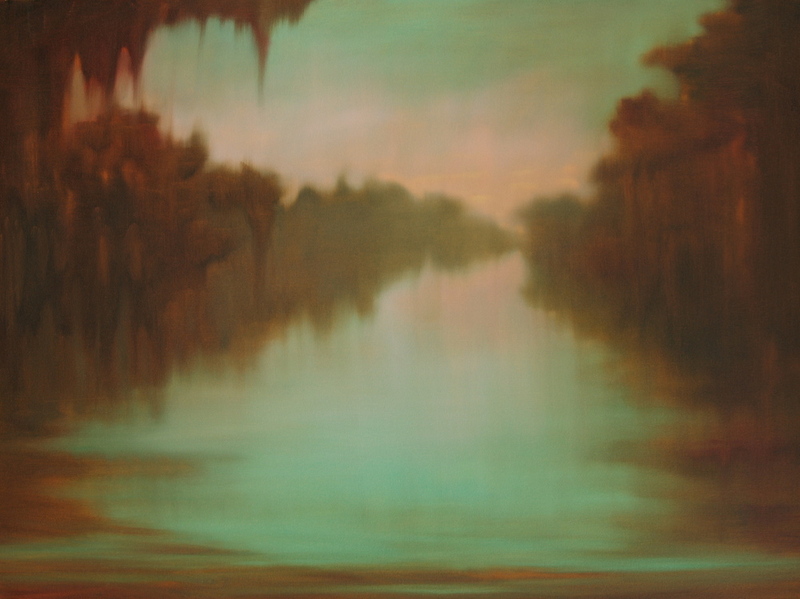 Bonin uses the symbol of the triangle in her bayou paintings to point the way to redemption. Bonin’s work explores the relationship between Heaven and Earth, Light and Darkness. Her fascination is with the union between Earth and sky and with the cosmos which is both ancient and universal. I paint journeys, rather than landscapes, in order to show what is behind the scene. I paint an opening through space. This entryway includes obstacles which define the path from darkness into light. I use perspective to draw the viewer in like a bee to a flower. But then I want the viewer to go beyond that down deep into the water, turning inward toward deeper meaning via the vehicle of the water and land. 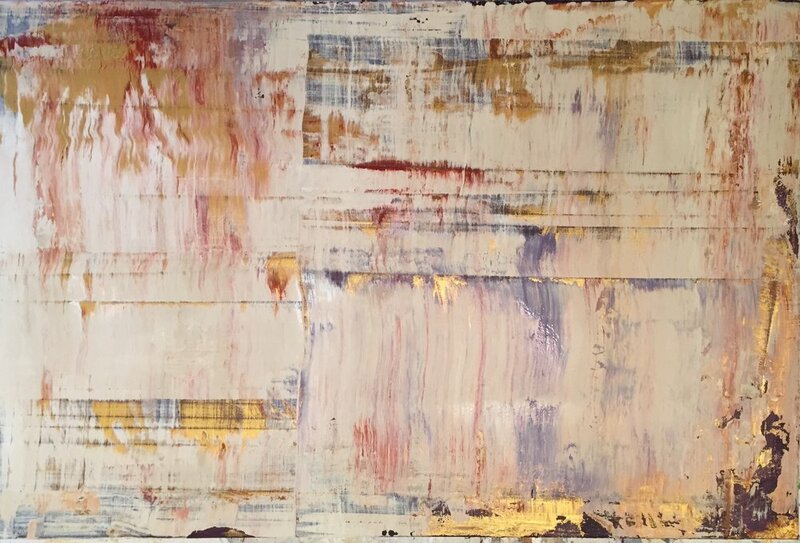 Referencing historical landscape painting the work presents a perspective into which are inscribed her 2 lineages of French and Acadian heritage and influences of teachings of Carl Jung and Joseph Campbell’s, The Hero’s Journey and Hero with a Thousand Faces. She believes in the idea of redemption through the individual recognition of one’s being and the personal process of individuation. I work with symbols that are accessible, land, trees, water, sky which link us with the past. These symbols create a kind of simultaneous continuity and we recollect our origins.